More people in New Jersey than ever before prefer having professional chauffeurs drive them around. This is often the case when dealing with traffic during rush hour. 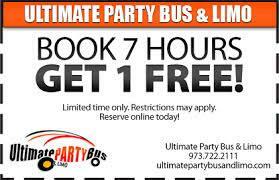 Driving in an Ultimate Party Bus and Limo vehicle with chauffeurs is an outstanding way to enjoy getting to venues and special events without having to get stressed about traffic and arrival times.By getting a limo service, you will enjoy a great ride based on the savviest and the most experienced professional drivers. You will arrive at... read more. It is a smart thought to consider the scope of limo transportation in New Jersey. At the point when taking a night out with a limo, Ultimate Party Bus and Limo has a broad limo fleet that incorporates the kind of limo transportation you need. It guarantees security, safety and comfort. Various Limos for Every NeedYou could utilize a limo transport anywhere in NJ based on your requirements and spending plan. The greater part of limo transportation covers premium amnities that are excepti... read more. When you want to visit exciting places like Atlantic City and it is new to you, nothing is better than having a New Jersey limo drive you to your lodging. This takes arranging and should be done when you are searching for lodging. When you plan well ahead of time, you have a reasonable chance of finding a well-regarded New Jersey limousine company to take you to every one of the places where you want to visit.When it is a night out for a single guy or gal or any significant event, there is one thing that yo... read more. One of the fastest growing businesses across the US are limo services. This is especially true in the northeast with New Jersey limousine services becoming highly popular thanks to the wide variety of personal transportation services being offered.It was not long ago that limousines were thought of for two basic occasions, taking kids to the prom and for corporation picking up or dropping off clients at the airport. Limousines were considered expensive personal transportation vehicles that only the well-to-... read more. The altered vehicles are hugely popular for business executives in New Jersey. They know the value of comfort, safety and convenience for their clients and business associates. Business limos are also a major advantage in projecting a first class business image.Although there is a steady and consistent growth of limousine service in the USA, businesses in New Jersey are often leading the way with beneficial limo usage. The limousine industry is mostly oriented toward the Mid-Atlantic region and on a per cap... read more. New Jersey has always been a hub for great entertainment, spectacular sporting events and the place where residents and visitors know the value of limos in everyday life. From its magnificent hospitality to the wonderful tourist spots, NJ truly possesses the qualities that any fun place should have. And the flag bearer of these qualities is the renowned Ultimate Party Bus and Limo.Keith, the owner, is a dedicated limo industry professional and has an awesome driving staff ready to serve you. New Jersey has... read more. Limo Bus West Caldwell New JerseyA West Caldwell limousine bus, also known as a party bus, is a large luxury vehicle which has seating for ten to fifty passengers. These buses are chauffer driven and are used for various purposes ranging from party rides to specially equipped rides for handicapped people. These buses offer comfortable and safe transportation to casinos, hotels, colleges, schools, churches, airports, nursing homes, tour companies, and many more. Nevertheless, these buses are sometimes used f... read more. 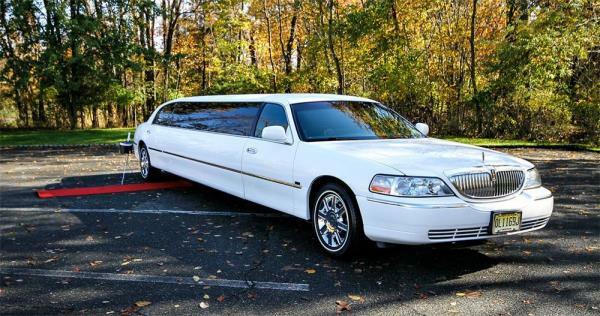 Limo Luxury and Convenience in VeronaNew Jersey is known as a magnet for music fans, sports fans and area residents know all about limos. They know that limos help you to discover New Jersey to the fullest. Further, a limo adds to an experience that you will never forget.Imagine the moment your guests return from the airport to Verona and step into a glitzy black limo waiting for you. It gives a delightful experience that you will cherish. This imagination is turned into reality by the trained professionals... read more.